As a division of RawHyde Adventures we know what ADV motorcycling is all about. 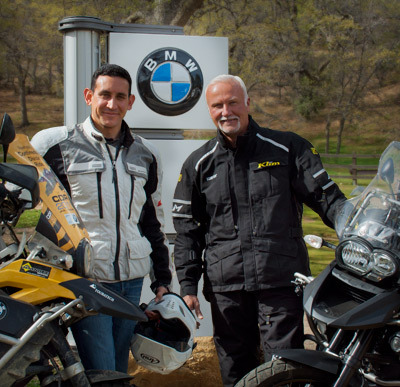 We have the largest fleet of dual-sport ready BMW GS' in the country. Our focus is to provide anything and everything you would need for your epic motorcycle adventure; from GPS units to camping equipment. If you wish to see and experience the rugged beauty of the backcountry or perhaps ride along the world-famous Pacific Coast Highway, camping or lodging, we will create an exciting and custom itinerary to suit you. Our skilled and friendly tour guides will ensure that your trip is exciting, adventurous and safe. Or, if you would like to experience your ride solo, our self-guided GPS tours will ensure that you experience the landscape and country at your own pace. Our emphasis is on serving our clients. We understand that although you are on vacation, we are not… Give us a call. We'd love to hear what kind of adventure we can create for you.